These Broad-Leaved Stonecrop (Sedum spathulifolium) certainly live in a relatively tough environment. In early June 2013 I found these individuals in Biggs Park near Nanaimo, British Columbia, Canada. 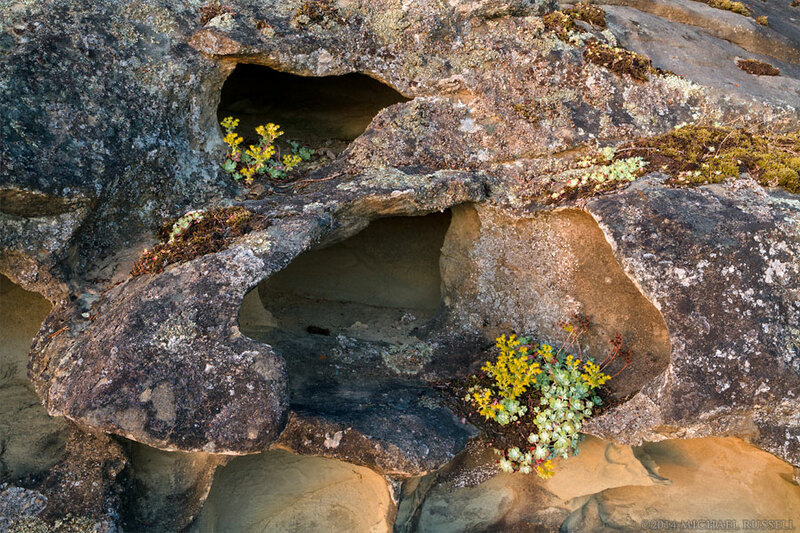 The sandstone surface on the beach creates lot of nooks and crannies for life – and the two plants in the bottom photo were taking advantage of that. The plant in the first photo was right out in the open, however. The ability to survive anchored on the rocks with only a small amount of soil is interesting. Stonecrop are a succulent plant, and store what water they can which makes them quite drought resistant. The thick tissue also help prevent water loss to the environment. 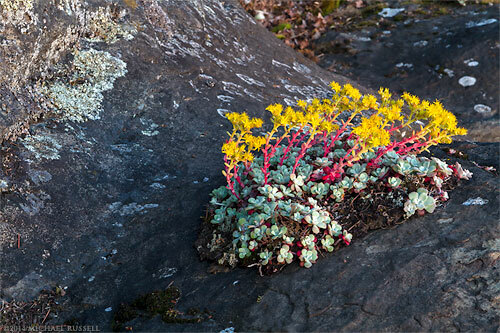 I had seen succulents like this before, most likely stonecrop species, but never blooming as nicely as these ones.